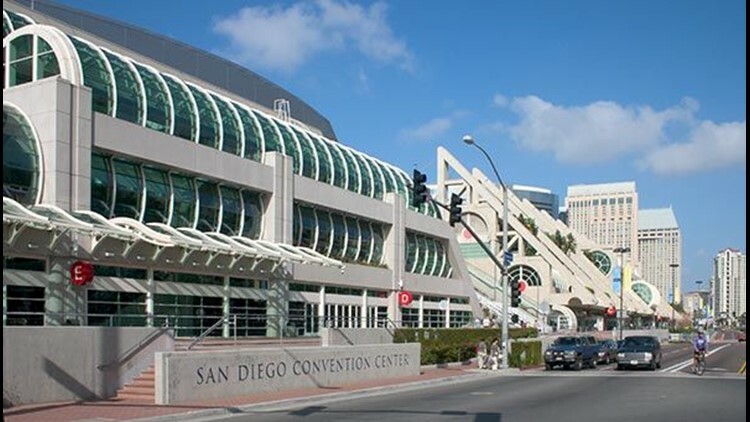 SAN DIEGO (CNS) - Long-term bookings of trade shows at the San Diego Convention Center are running well ahead of last year's pace, according to a report scheduled to be presented Thursday to the City Council's Economic Development Committee. By the end of January, 34 conventions had been booked for future years at the bayside facility, according to the report. The events are expected to attract nearly 224,000 attendees and sell more than 415,000 hotel room nights. At the same point last year, 13 conventions had been booked, with half the attendees and hotel room nights, the report said. The report, compiled by convention center staff and the San Diego Tourism Authority, projects that 60 conventions will be booked during this fiscal year, which runs until June 30. Long-term bookings, handled by the SDTA sales staff, are for national conferences that book more than a year and a half out. Conversely, short-term deals -- usually for smaller events that occur 18 months or less from the sale -- are down. The report said 62 such events had been booked by convention center staff by the end of January, compared to 79 last year. Despite the drop, the anticipated attendance, around 140,000, and hotel room nights, more than 18,000, are about the same as last year, according to the report. Staff are also scheduled to provide an update on the city's open data program. The city recently launched the website SDData.org, and plan to begin uploading data sets by July 1.